Can Eating Oatmeal Help You Make More Breast Milk? Benefits of Oats for Breastfeeding How to Add Oats to Your Diet What Is Oat Straw? Oats are whole grains. They're nutritious, and they provide a variety of health benefits. Oats are also one of the most popular foods that breastfeeding moms eat to make more breast milk and support lactation. Oats and oat products are a great addition to a healthy breastfeeding diet because they have many positive effects on nursing mothers. Oats are full of nutrition. Oats contain proteins, vitamins, and minerals. They are high in iron, zinc, manganese, and calcium. They are an excellent source of soluble fiber. Plus, they contain B vitamins to help increase energy, elevate mood and fight off exhaustion, anxiety, stress, and depression. Oats contain saponins. Saponins are a substance that may have a positive effect on the hormones related to breast milk production. There are plant estrogens in oats. Foods that contain plant estrogens are associated with the stimulation of the milk glands and a greater production of breast milk. Beta-glucan is found in oats. Beta-glucan is a type of fiber that's thought to raise the levels of the breastfeeding hormone prolactin. Higher prolactin levels can have a positive effect on breast milk production. Oats are widely available, and they're quick and easy to prepare in so many ways. You can cook your own snacks and foods with oats, or you can buy products that already contain oats. From breakfast to an afternoon snack to dessert, it's easy to add oats and oat products into your daily breastfeeding diet. Oatmeal Tea: To make oatmeal tea, pour 1 cup of boiling water over a teaspoon of oatmeal flakes. Then, add cinnamon and honey to suit your taste. You can even add breastfeeding herbs, such as fenugreek or fennel, to give your tea an additional milk-making boost. Oat Muffins: Bake a batch of delicious oat muffins. They're perfect for breakfast or an afternoon snack. Oat Bars: Have a granola bar or a homemade oat bar at lunch or as a snack. Oats in Soup: Instead of rice or pasta, add some oats to your soup. Oat soup is a warm, healthy option for lunch or dinner. Oats Baked Into Bread: Add some oats to your bread dough or buy a loaf of bread made with whole grain oats. You can toast oat bread in the morning, use it to make a sandwich in the afternoon, or eat it along with dinner in the evening. Oatmeal Cookies and Lactation Cookies: It's no surprise that oats are a common ingredient in lactation cookies. Whether you add other galactagogues or not, oatmeal cookies make a great snack or dessert. Oat straw is an oat supplement made from the seeds and leaves of the Avena sativa plant. It is available as a capsule, a tincture, ground powder, or straw that has been cut up and sifted. Whole oats do not contain gluten. They are generally well tolerated even by those with Celiac Disease. However, some oats are processed along with wheat products or combined with other products that contain wheat. If you have a gluten allergy, check the labels on your oat products carefully. You should only buy pure whole grain oats, those labeled as gluten-free, or oats processed in a gluten-free facility. Do Oats Cause Any Side Effects? Oats are considered a safe and healthy part of your diet. There are no known side effects and no known drug interactions associated with oats. Oats are good for the heart. Studies show that the beta-glucan fiber found in oats can lower cholesterol. Oats are also believed to help lower blood pressure. 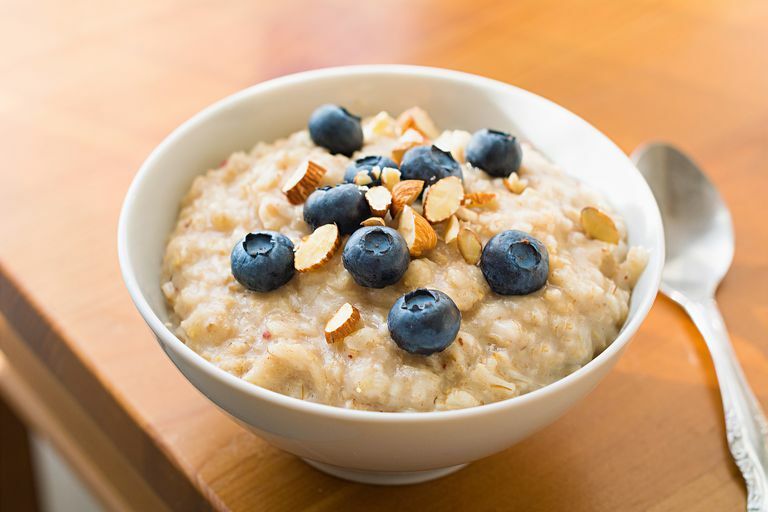 Oats can help to stabilize blood sugar levels as long as you don't overdo it by adding too much sugar. Whole grain oats are satisfying. They fill you up and keep you from becoming hungry again right away. Oats added to moisturizing lotions and bath products can help soothe the itchy, irritated skin of those suffering from skin conditions such as eczema and psoriasis. Oats are warm, relaxing, and comforting. Bown, Deni. Herbal. Barnes & Noble Books. New York. 2001. Humphrey, Sheila. The Nursing Mother's Herbal. Fairview Press. Minneapolis. 2003. Moll, Jennifer, PharmD. Does Eating Oatmeal Help Lower Your Cholesterol? Cholesterol.About.Com. 2014. Singh, R., De, S., & Belkheir, A. Avena sativa (Oat), a potential neutraceutical and therapeutic agent: an overview. Critical reviews in food science and nutrition. 2013; 53(2): 126-144.